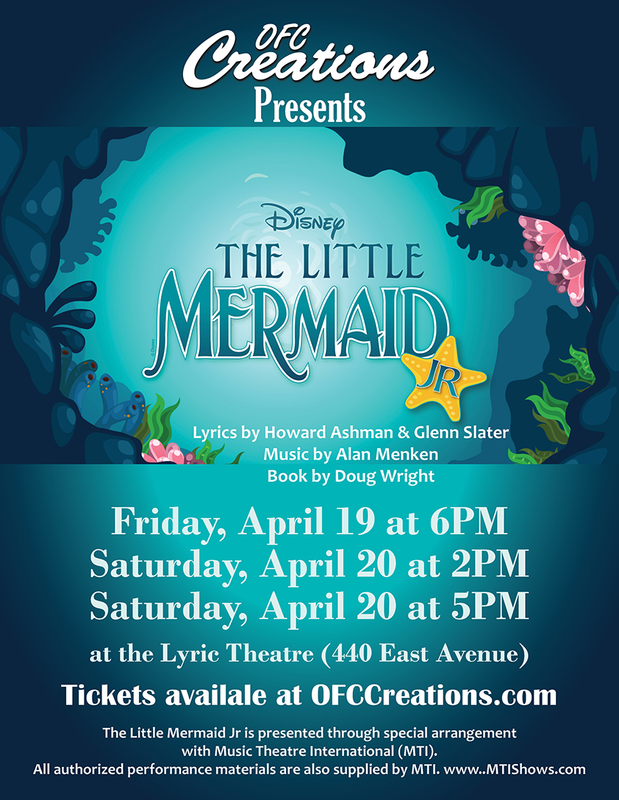 Presented by OFC Creation Youth Performers for April Break. Journey “under the sea” with Ariel and her aquatic friends in Disney’s The Little Mermaid JR., adapted from Disney's Broadway production and the motion picture. In a magical underwater kingdom, the beautiful young mermaid, Ariel, longs to leave her ocean home — and her fins — behind and live in the world above. But first, she’ll have to defy her father, King Triton, make a deal with the evil sea witch, Ursula, and convince the handsome Prince Eric that she’s the girl whose enchanting voice he’s been seeking.